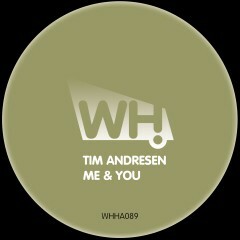 Tim is at the forefront of Scandinavian clubbing being the main resident DJ at the legendary Culture Box. His new EP needs little introduction. It is a great double A-sider and both tracks are doing the business! Support by James Zabiela, Dave Seaman, Spiritchaser, Piemont, Zoe Xenia, Horatio, Giom, City Soul Project and many more.